The international classic of true crime . . . More than 2 million copies sold in the English language alone. 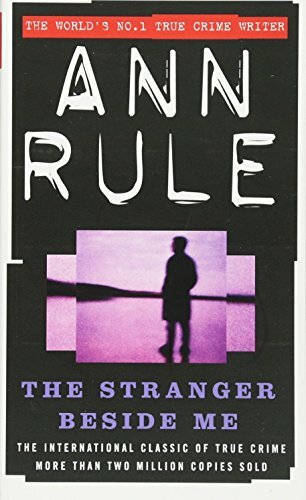 Ann Rule was a writer working on the biggest story of her life, tracking down a brutal mass-murderer. Little did she know that the young man who was her close friend was the savage slayer she was hunting . . . TED BUNDY was everyone's picture of a natural 'winner' - handsome, charming, brilliant in law school, successful with women, on the verge of a dazzling career. Fast-forward to January 24, 1989, Ted Bundy is executed. He had confessed to taking the lives of at least thirty-five young women, coast to coast. This is his story: the story of his magnetic power, his unholy compulsion, his demonic double life, and his string of helpless victims. It was written by a woman who thought she knew Ted Bundy, until she began to put all the evidence together, and the whole terrifying picture emerged . . . As recommended by the hosts of the podcast My Favorite Murder. Fascinating further reading for viewers of the Netflix documentary Conversations with a Killer: The Ted Bundy Tapes.